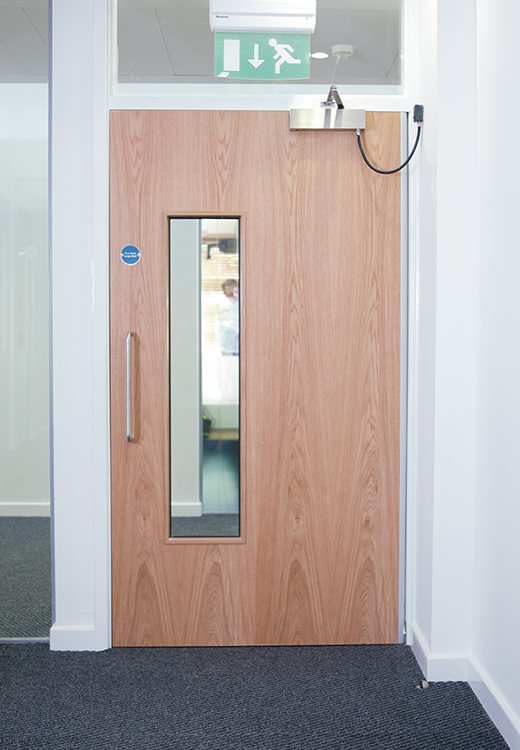 Timber doors are utilised on every building due to their ability to provide cost effective solutions to varying functional requirements. 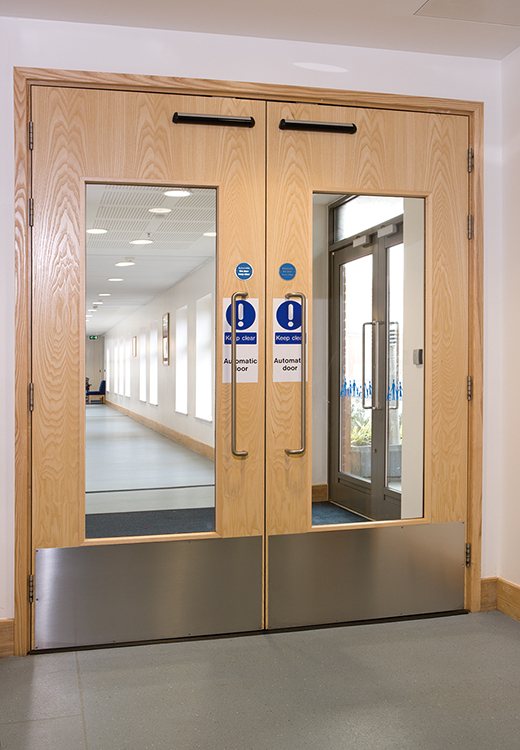 Fire doors are part of the passive fire protection system and are of paramount importance to the safety of the building. Tasked to compartmentalise the fire, shield occupants and provide a protected escape route, fire doors must meet the fire resistance requirements as outlined in Approved Document B of the Building Regulations. Doorview appreciate this responsibility and ensure that all fire doors supplied are third party certificated and comply with the performance criteria of BS 476 Part 22 1987 and EN 1634-1 2008. Timbers doors are available from Doorview with 30, 60 and 90 minute fire and smoke resistance ratings. • In dwelling-houses, flats and rooms for residential purposes, a minimum acoustic performance of 29dB Rw is required. • In schools there is a minimum requirement of 30dB Rw, with 35dB Rw in music rooms. 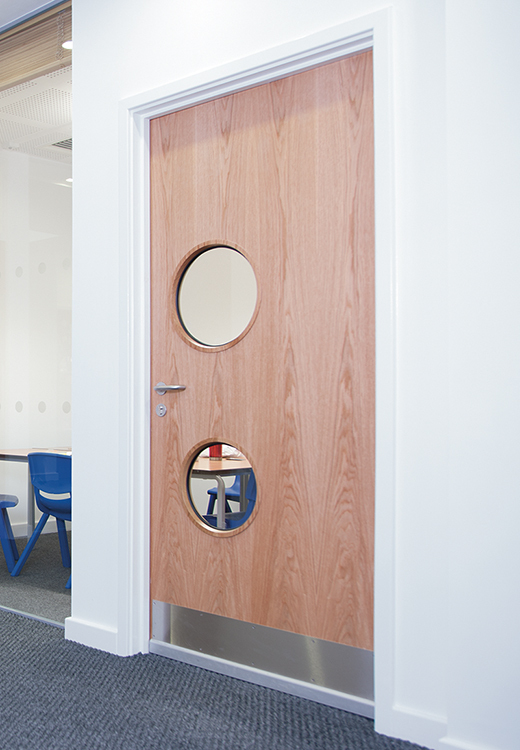 Utilising a combination of performance door cores, frames and sealing systems, Doorview can provide timber doors with acoustic rating of up to 38dB Rw. • PVC encapsulated doors and frames to provide rigorous durability for high traffic areas. • Flush glazing panels to aid cleaning. • Vision panels that provide privacy in patient rooms. • Glazed side panels and screens to aid with patient observation. • Double action doors with hold open function for busy corridors. The front door of residential dwellings has long been targeted by intruders looking to gain access to the property. In an attempt to increase the security standards, the British Standard PAS 24-1 was introduced. Recognised by Secured By Design, the official police security initiative, PAS 24-1 tests are carried out on a complete doorset in its frame with identified points of attack within the specification. 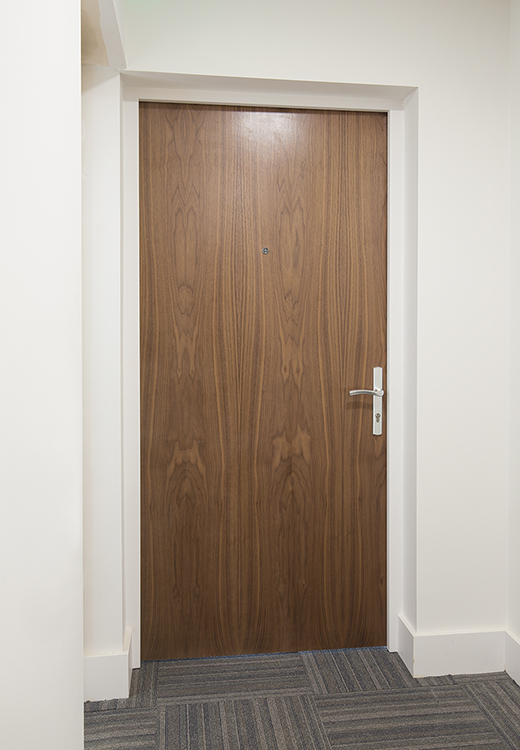 Doorview understand what it takes to ensure the doorsets supplied for your front door applications are supplied meeting the security requirements and passing the PAS 24-1 test. With traditional hinged door assemblies, the arc of the door needs to be kept free from obstruction to allow the door to be opened and closed effectively. This can limit the number of layout options, particularly in small rooms such as bathrooms and kitchen areas. Additionally, these type of doors can be challenging to use for those in wheelchairs or with restricted movement. By utilising sliding door systems, Doorview can supply complete door kits that do not swing into the space adjacent to the door face, thereby saving space and providing design layout flexibility.